Back in October 2013, we made a second version of a coffee porter called the Friedlieb. It used malt extract and some specialty grain. Now we figured we’d try to make it an all grain. 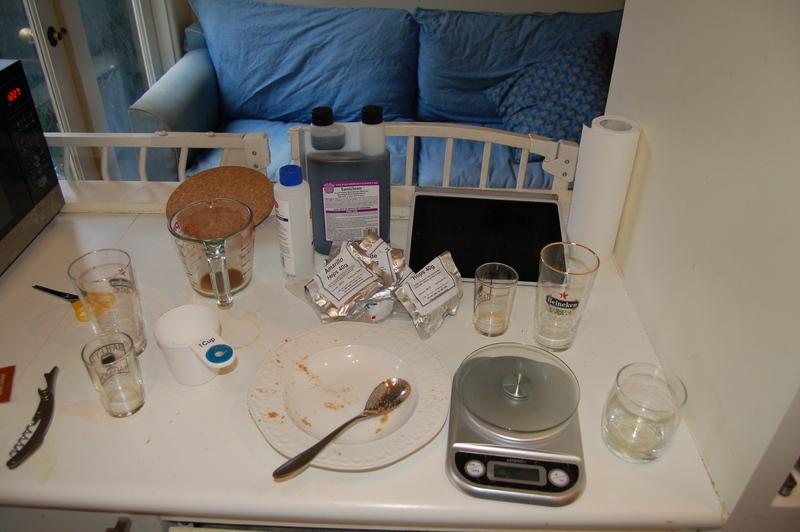 We basically had to start again to try to adapt what was about 1.5 kilograms of liquid malt and 250 grams of dry malt (for 12 litres). The liquid malt was a golden light and the dry was a dark malt, so we decided to replace this with 2 kilograms of traditional pale malt and up some of the other darker grains as well (for 8 litres). The beer might not turn out “portery” enough, but this is just the start of things, so if we need to up the dark malts a little more, we will. All that being said, this has always been a fairly light porter, so we’ll see. All the grains were mashed for an hour in eight litres of water at 65 degrees. 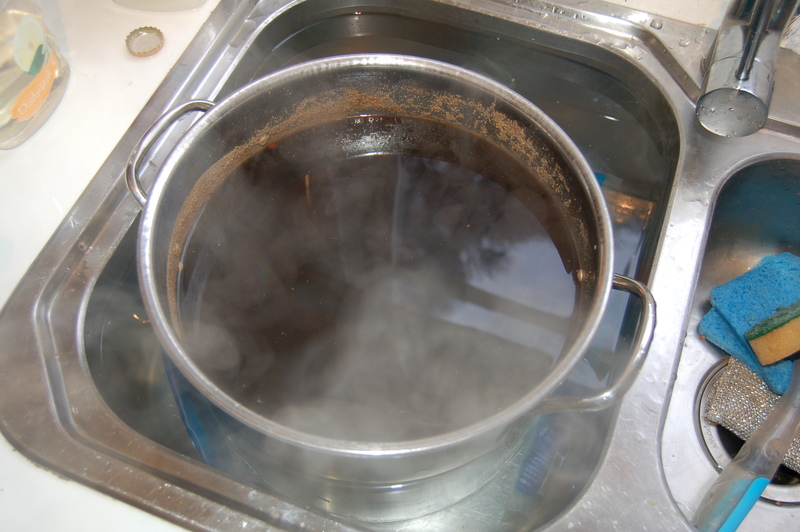 We were able to keep the temperature pretty constant, and this seemed like a good amount of water for the grains. From there, it was pretty standard. The brown sugar and coffee went in with 5 minutes left to the boil. Cooling was pretty easy and we were left with about 7 litres of liquid, so there wasn’t a whole lot of topping up to do to get it up to 8 litres. The original gravity was 1.063 which isn’t bad considering we were approximating the grain from a previous extract brew with an OG of 1.073. Depending on how things turn out, we may up the malt a bit and/or mash the grains for a bit longer to bring that original gravity up a little bit. Anyway, the beer is currently bubbling away and should be ready to bottle pretty quick. I’m eager to see how it turns out and modify further! Looking forward to how this one turns out. Thinking back the amount of peated malt, you might be right. The coffee should keep it under control.